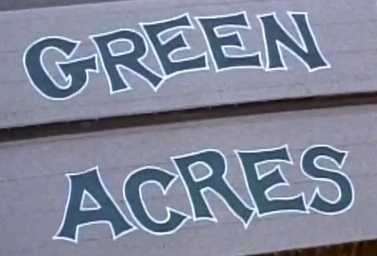 Pontius Green Acres had a large variety of trees including many varieties of Apple, Peach, Pear, Plum, Chestnut, and Cherry. The garden included Sweet Corn, Green Beans, Carrots, Peppers, Onions, Squash, Cabbage, Tomatoes, Strawberries, and more. Folks from Hartville and surrounding areas enjoyed fruits, vegetables, Cider, and Honey from Pontius Green Acres for many years. A recent aerial view of the area above is shown below. Note that the Grape Vines are still there! 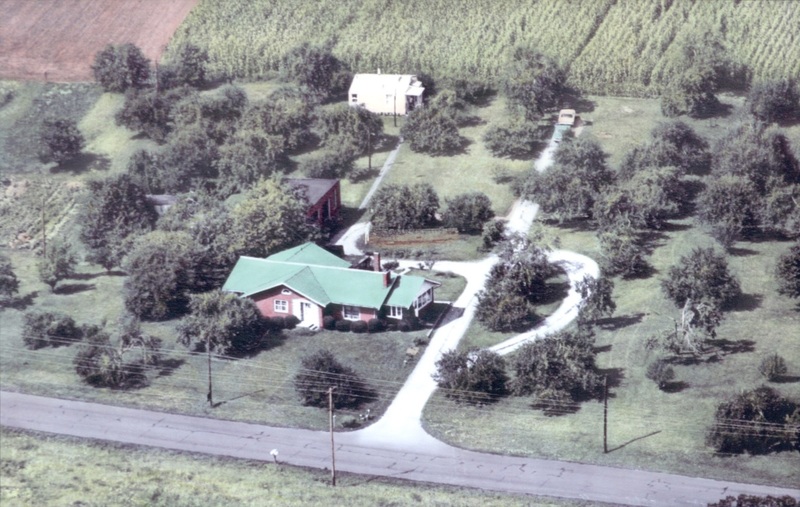 A 1985 aerial photo of Pontius Green Acres with the Farm House and Barn are shown below. Wendy's is located where the red brick house (with green roof) was located. 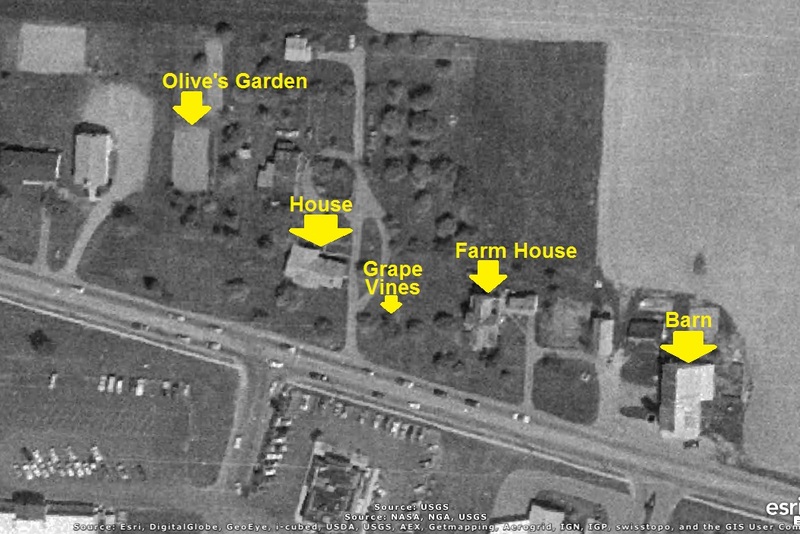 Pizza Hut is to the west (left) were Olive's (Mrs. Pontius) Garden was located. 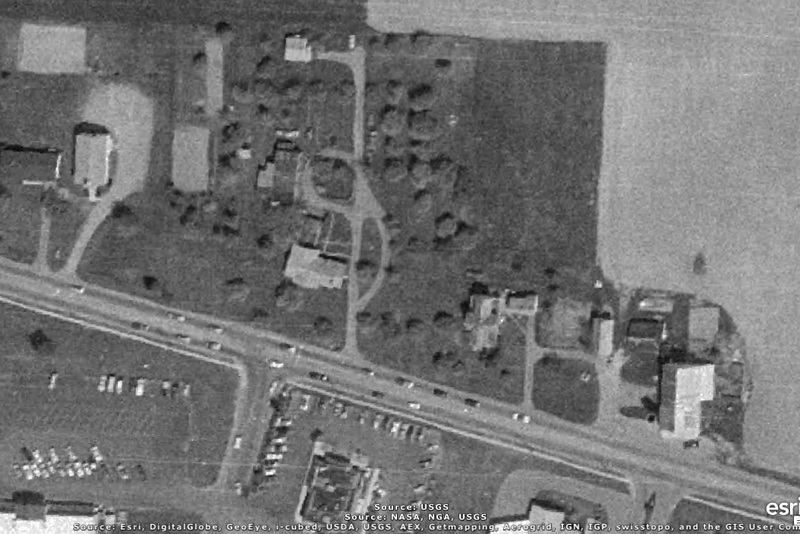 Mi Casa (previously Arby's) is to the east (right) where the Farm House was located. 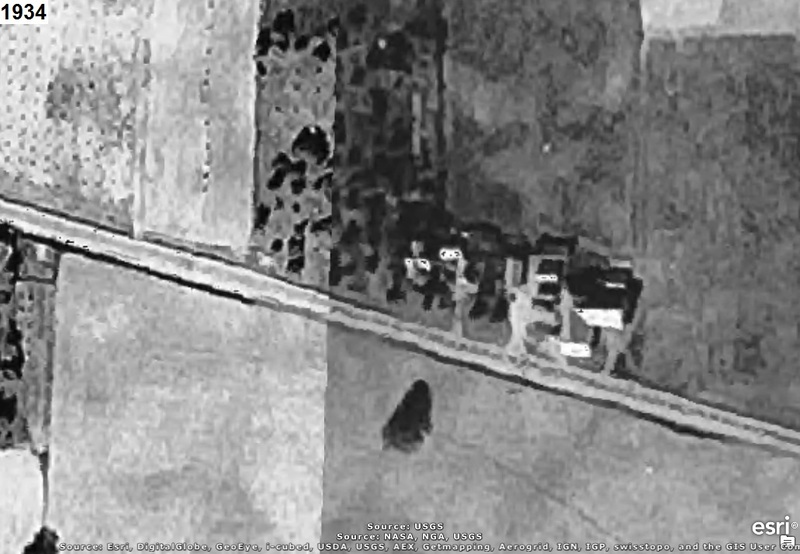 that is where the Barn (see THIS OLD BARN) was located. A Google Maps Car photo from August 2011 is given below. northeast corner of the Burger King building. southeast corner of the Wendy's building is now located. 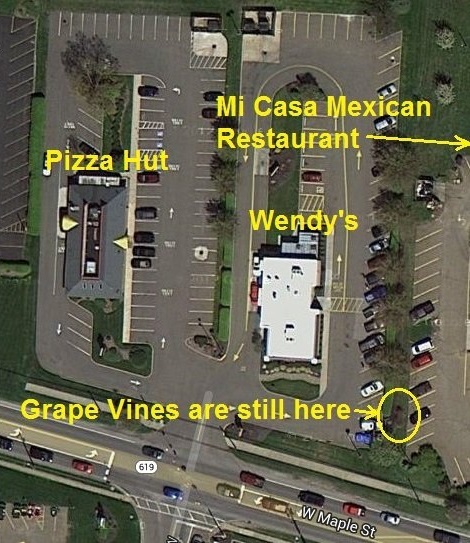 Also, the northwest corner of the Pizza Hut building is exactly in the middle of Olive's Garden. precisely where the Olive (Pontius) Garden was located.